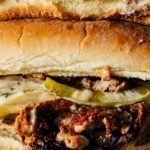 Quick and easy Philly cheesesteaks: thinly sliced steak with peppers, onions, provolone and American cheese! I feel like every city wants a food item to claim as their own. 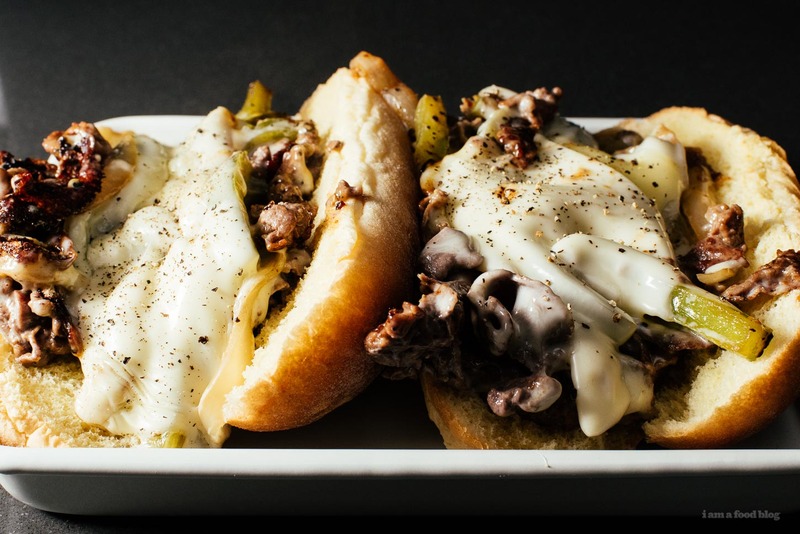 Chicago has pizza —but then again, so does New York— Boston has clam chowder, and Philadelphia has cheesesteaks. I don’t know how a city gets to lay claim to a specific food item, but I do know that people will defend said food items with a fierceness that is usually reserved for first born children. But, my question is, are said food items really better where they’re from? They might be more authentic, but are they objectively, unequivocally superior? I don’t know about you, but I’ve had my share of not so great authentic foods from their birthplaces. I’ve talked about how my ideal bolognese sauce isn’t from Bologna and I have to admit that while the xiao long bao I’ve had in Shanghai were good, the ones from Hong Kong were better. And that brings us to Philly cheesesteaks. 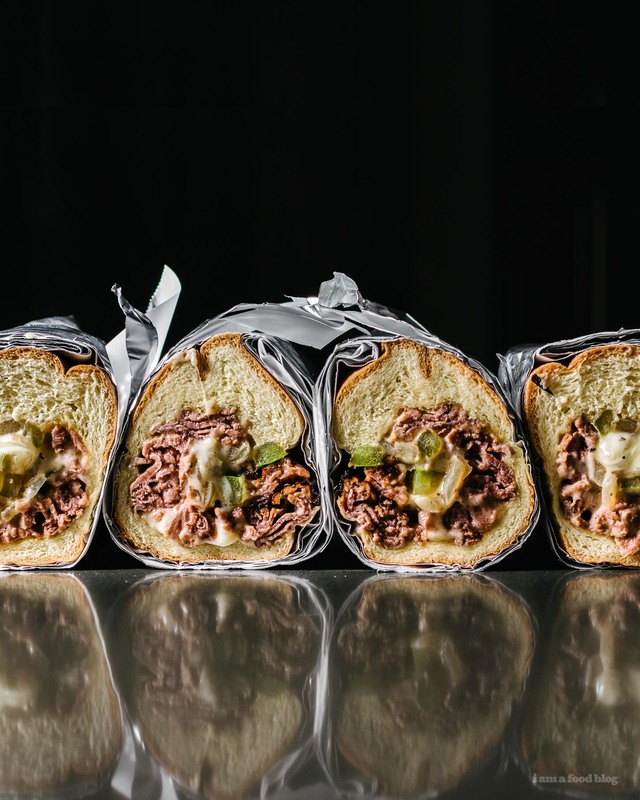 Are the only good Philly cheesesteaks in Philadelphia or can they and are they made better elsewhere? 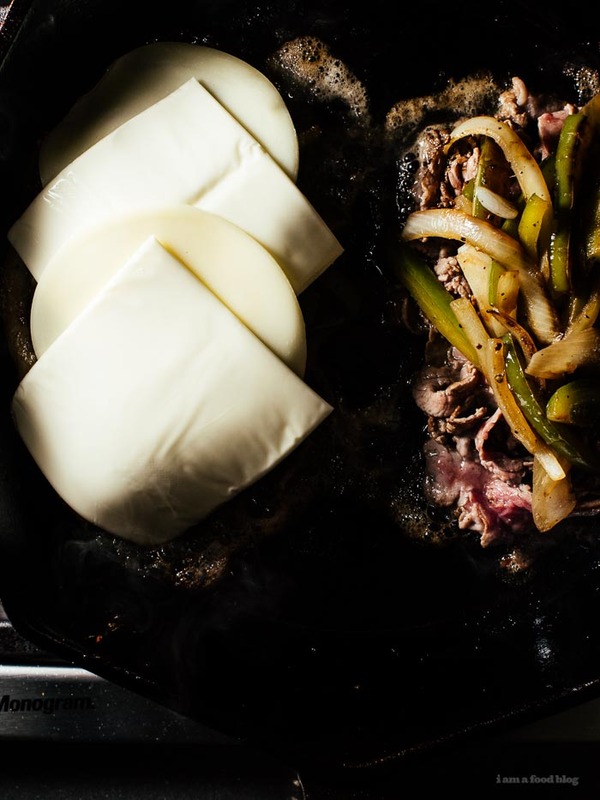 Also pressing: why are the only three acceptable cheese toppings for cheesesteaks cheese whiz, provolone, or American? Why not Philadelphia cream cheese? Okay, I can answer that last one, apparently Philadelphia doesn’t make cream cheese. In a heavy bottomed pan, heat up a bit of oil over medium high heat. Add the peppers and onions, season with salt and pepper and cook, stirring occasionally, until soft, 5-8 minutes. Remove from the pan and set aside. Add a bit of oil to the pan and turn the heat up to high. Add the steak and season generously with salt and pepper, moving the steak around the pan until lightly browned, but still pink. Mound the meat up into two rectangles. Top with the pepper-onion mix. 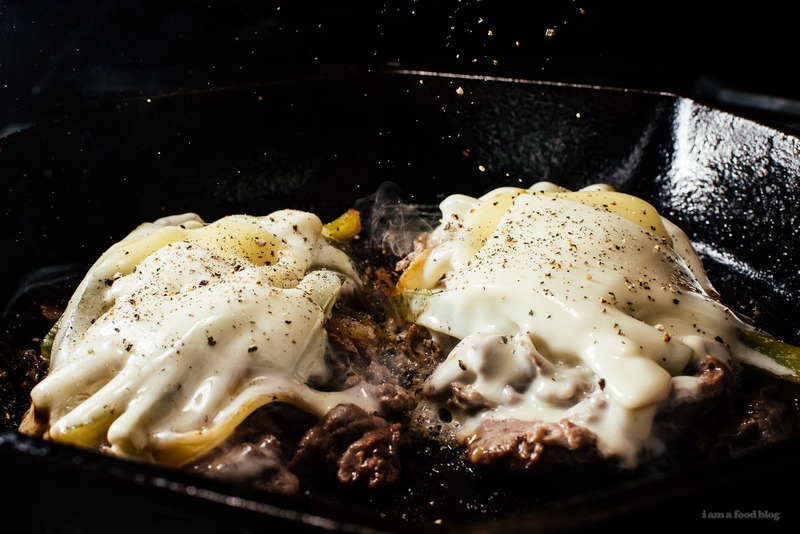 Layer the cheese onto the meat, alternating provolone and mozzarella. Let cook, undisturbed for 3-4 minutes. For the last minute or so, place the bun, cut side down, on top of the meat-cheese mixture so that it lightly warms. Scoop meat-cheese mixture onto the buns. Enjoy immediately! Only provalone for me. Oh, and it’s all about the bread. Amoroso’s is the only way to go. Otherwise it’s just a beef sandwich. I’m with Anne! 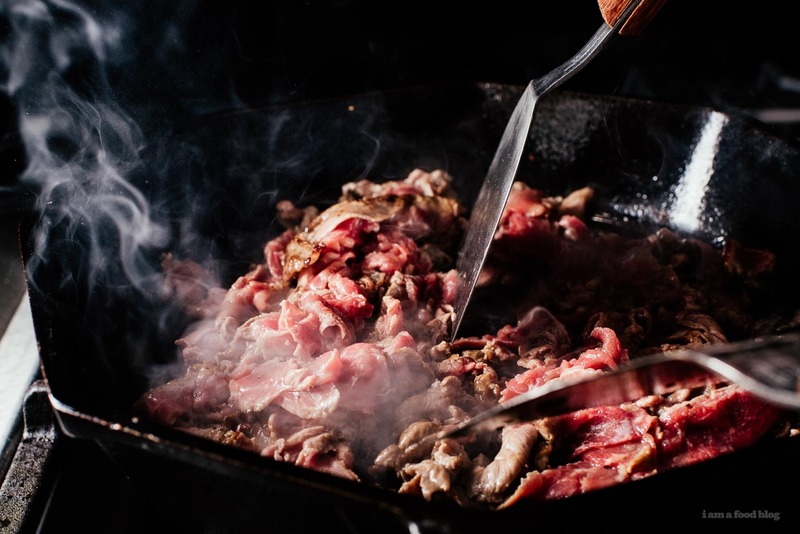 I worked at a cheesesteak joint on the East Coast for a while, and we had the bread shipped in specially from Philly – the owners claimed it had to do with the water they used to make the bread, but if the bread isn’t right, it’s just beef on a bun! These look BONKERS. Like bonkers delicious and once again I am drooling at my computer!!! SUPER SOFT BUNS! Born and raised in Philly for over 30 years and I never saw green bell peppers on a cheese steak until I left Philly. Only people OUTSIDE of Philly think we use green bell peppers. In Philly they use sweet pepper and/or hot peppers, NOT bell peppers. What’s a sweet pepper? I always thought that WAS a bell pepper. 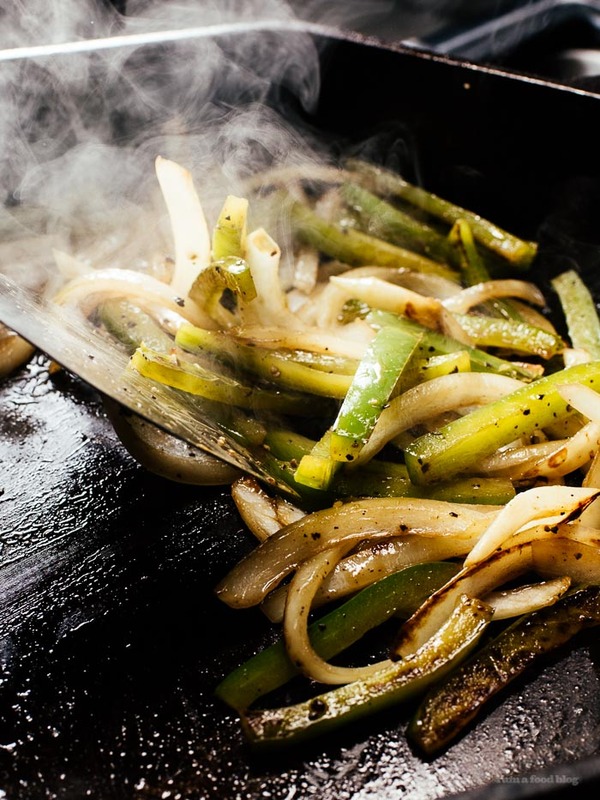 I’m from Williamsport and I never saw peppers on a cheesesteak until I left Williamsport, but I am just trying to figure out what you’re talking about. I’ve only ever had HOT crushed peppers on mine! I could care less about the authenticity of a cheesesteak. Meat, onions, peppers on a bun w/whatever cheese you prefer (provolone, wiz, etc.) as long as the ingredients are quality, just enjoy it, it’s food. I’ve had authentic cheesesteaks that were really good and i’ve had adaptations that were really good. I’ve been using bell peppers this week in all of my meals, and this serves for great inspiration. 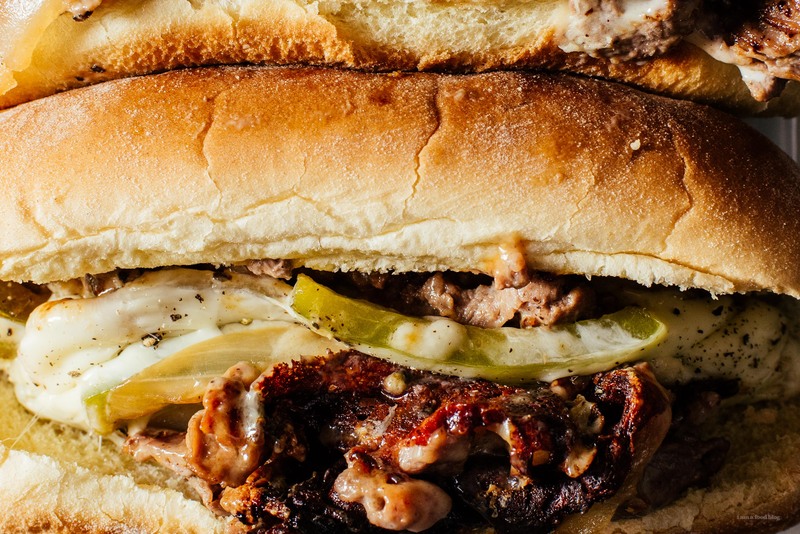 I should not be looking for recipes this late at night but I must admit that these Philly Cheese Steaks look incredible! I completely agree with what Anne Weber-Falk said about the bread being extremely important. Hopefully I can find a great deli near me that has some quality bread!